Like other Mainers, Portland residents are famous for their independence. Some even call it stubborness. Longfellow Books on Monument Square is one of the few remaining independent (“fiercely independent” according to its website) bookstores in Portland. It’s also a member of the popular Buy Local movement, a campaign that encourages large changes in the regional economy through small shifts in spending habits. 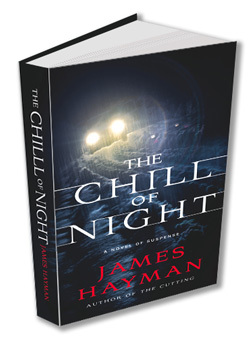 Longfellow Books knows a good thing when they see it and they want you to buy this summer’s thriller from a local author – James Hayman. 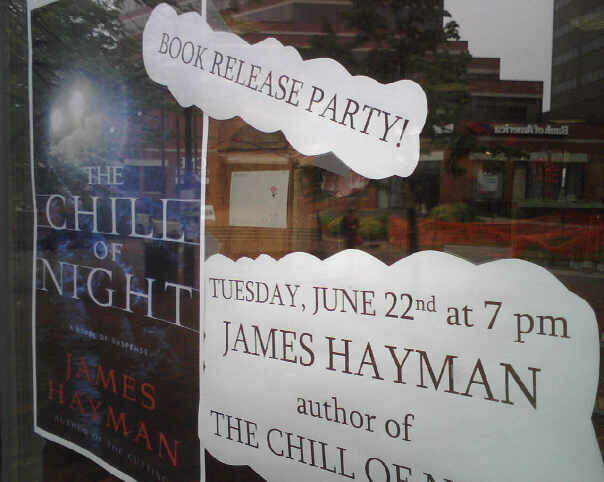 For that reason, a promotion for The Chill of Night‘s book release party decorates their store window. Jim’s work ethic is Yankee in nature and he has followed the publication of his first thriller, The Cutting, with another Detective McCabe story set in Portland. See his interview on 207. I’m a fan of Jim’s and a fan of Portland’s sense of place so I don’t plan on missing this book or its release party. As a Mainer, I’m fiercely independent about these sort of things you know. See you there. June 22, 2010 7 p.m.